From one of America's great writers, this delightful collection - the first of its kind - contains twenty-three adventurous tales set in the San Francisco Bay Area. If San Francisco has captured the world's imagination through the hardboiled stories of Dashiell Hammett, the prose and poetry of Jack Kerouac and his fellow Beats, through Orson Welles' Lady From Shanghai and Alfred Hitchcock's Vertigo, it is as a romantic city of vast suspension bridges and foggy back alleys, not as the wild west of Jack London's day. Pre-quake San Francisco was a tough town, and Jack London - hobo, sailor, oyster pirate, hard drinker - was pretty tough, too. Although famous for his stories of the Klondike and the Pacific, London wrote extensively about his home base. 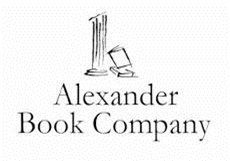 This collection contains such classic stories as 'The Apostate' and 'South of the Slot' as well as extracts from John Barleycorn and The Sea-Wolf. The overlooked 1905 story cycle Tales of the Fish Patrol is included in its entirety. London's vivid eyewitness report of the Great 1906 Earthquake and Fire - which destroyed forever the old city - stands as a fitting epilogue. Discover a vanished San Francisco in these wonderful stories of Jack London. Selected as one of the 16 BOOKS TO READ IF YOU LOVE SAN FRANCISCO: "Most of us know San Francisco as a soft foggy charmfest of a city. But it wasn't always so tame. 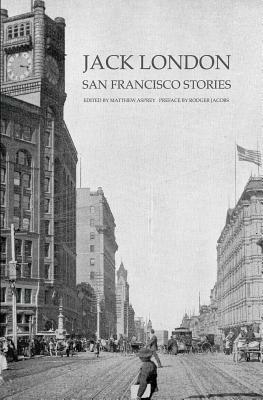 Jack London's San Francisco Stories chronicles the tougher annals of SF's pre-earthquake days, and includes Jack London's firsthand account of the city burning in the wake of the 1906 quake. Either a must-read or must-avoid for anyone waiting for the next shaker. In this collection, you can find the San Francisco that is no longer, but still haunts the back allies. Recommended for: True lovers of San Francisco and] neighborhood dive bar drinkers." -ANISSE GROSS, BuzzFeed.com "A meaty, compactly packaged book. If you don't have these stories, a great intro to a city that was lost in the 1906 quake and fire, by the most famous author born in town." -DON HERRON, the San Francisco Dashiell Hammett Tour "This collection by scholar and writer Matthew Asprey finally brings together London's best writing about the coastal communities of Northern California that he loved so well." -RODGER JACOBS, Journalist, Author, Jack London Scholar. Although born in 1876 near Third and Brannan Streets in San Francisco, Jack London lived much of his childhood eight miles across the bay in Oakland. From 1868 the city's Long Wharf was the last stop of the Transcontinental and Central Pacific Railroads. Oakland was a rough and vital place. As a child, London fed his tremendous appetite for reading at the Oakland Public Library. His early teens were spent at gruelling labour in a cannery. In his memoir of alcoholism, John Barleycorn (1913), London tells how he escaped that servitude to became an oyster pirate on San Francisco Bay with his own sloop, the Razzle Dazzle. Later he switched sides and became a member of the California Fish Patrol, which inspired the cycle of short stories collected in 1905. In 1893 London signed on to the schooner Sophie Sutherland and voyaged across the Pacific. The next year he was on the road as a hobo with Kelly's Army. It was only in 1895 that he was able to attend Oakland High School. After graduation and a brief stint at the University of California in nearby Berkeley, London sailed north to the Yukon for the Klondike Gold Rush. His experiences in the Northlands would lead to the creation of such classic works as The Call of the Wild (1903), White Fang (1906), and 'To Build A Fire' (1908). London would soon become one of the world's most popular writers. Never losing his love of travel and adventure, Jack London always returned to California. He eventually bought a ranch north of San Pablo Bay in Sonoma County. He died there at the age of forty on November 22, 1916. He had published over forty volumes - novels, short stories, non-fiction, and essays.